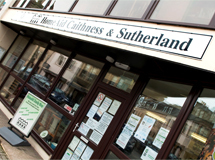 Homeaid Caithness & Sutherland merged with New Start Highlandin January 2015 to ensure a continued services was available throughout the Highlands. We can still be contacted on 01847 890696. 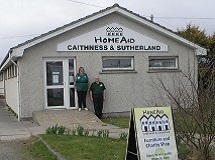 HomeAid Caithness & Sutherland no longer exists however we have merged with New start Highland to provide essential household furniture and electrical items to people in Caithness and Sutherland who are struggling to survive on a low income and would not be able to furnish their home or replace items without our assistance. Maybe you have furniture that can be reused? 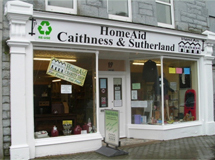 New Start Highalnd will pick up your surplus household goods direct from your home and either pass them onto families and individuals in the county struggling to live on a low income, or sell them in one of our charity shops based in Thurso or Wick to help us raise funds. We will take all sorts of furniture from sofa's to tables to electrical goods including cookers, ovens and washing machines. Hundreds of people donate good quality furniture and other items to New start every year. Why don't you join them? An uplift service is available for free, please phone 01847 890696. Alternatively donations can be dropped off at either our warehouse or shops during opening hours. 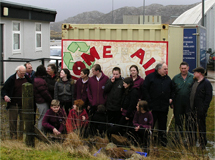 New Start Highland currently operates throughout most of the Highland Council area. This is probably the largest area that any similar organisation in Scotland has to cover and includes many deliveries to remote areas. We relies very much on the contribution of volunteers who between them contribute hundreds of hours each month. Interested in helping? In helping us to resue furniture you will be helping hundereds of families each year.